about wildestein i think that she is insane, apart that seems a weird drag, spent 4 million bucks in surgeries. wtf? 4 million,with that amount would have feed half of africa and get another husband, but the reality in this shallow world is that u have to be pretty or pretty to be "successful" in your life, and all that your need is money at least for hire a stylist and make up artist. The the humans beings are a such a weird breed cuz the beauty for us has to be so pefect and that brings us to the extreme, like in Europe u have to be basically flat, in Asia your better with bigger eyes and in Latin america all want to be curvy. Everywhere people have different standards and your forced to follow those standards cause the world is made for them. Im desagree with gina , because vain people dont always want to be more than the others, just want to feel good with themselves feel beautiful and not necessarily through surgeries or the like ,but also dress good or make up because i think the vanity is part of the human because vanity is not just be more than the other becasue also influences in the personal presentation of each one, really not is so bad be vain, simply we just need to know how far reaching. Nowadays, people are worring too much about their appearances. Spend a lot of money in plastic surgeries, clothes and shoes of expensive brands. Well, I think, vanity become people with excessive pride for their appearance even change their behaviours for example, they develop feelings of superiority, arrogants, self-absorbed because they think that they look better than others. Sometime, some of them need Psychology help. Vanity sometimes exhibit behaviors as arrogance, these persons want to arrive appear behaviors more than are actually. the vanity is is the excessive recognition of what one is. that's right your comment !, but I think that vanity is not recognition of what are actually. The vanity just is a behavior of self-esteem and want to see nice. So I say, sometimes, because not always people behave arrogant when they are vain, I think that is no bad and that can be vain to show what is to love onese lf. On this side you're right, every person watching the side of vanity. Although they say it is a false image, each puts “malice”. According to what Cata said, I think she's absolutely right, seeing the context that we are using. Beginning because she starts with the thought that everybody knows: The vanity is used for the society who exploits the people in an subconscious way putting publicity with a specific prototype of women and men. In this occasion I want to express that there's a more completely and relative form to talk about the Vanity, because is not an only word, in fact is a concept that cover a lot of means, and it is ridiculous if we only manipulate an unique side, is better always being neutral in these cases. As a result of, I'm going to explain the positive side of the Vanity. Vanity is not always seeing like a bad thing, or something superficial impose by the society. Vanity is necessary to have a good mental health, well nowadays considering us better than everyone else, superior in a situation or in a moment, that can give us the impulse to achieve ours dreams. 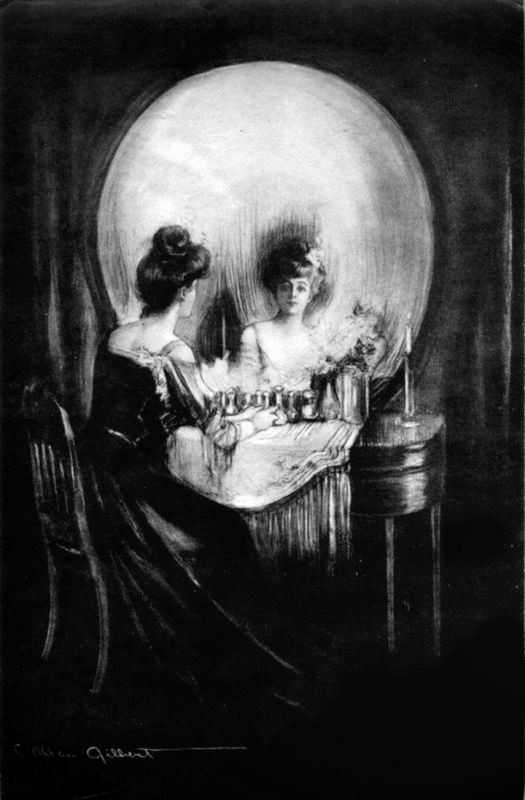 I'm not gonna think that the vanity is the opposite of self-esteem or the wrong side of it, otherwise I would consider that Vanity is modern time's self-esteem. Now, we have to pay attention to don't go too far with "The vanity" and arrive to the levels of arrogance. While the self-esteem and vanity can show us how a person is very self-confident, the arrogance can make us look hateful for the other people and can close our friend's relations. But I think in moderation is good! What a nice pic!!!! Excellent topic, by the way. I´m glad we are talking here about this testing on animals. There´s a lot to say related to that. Still in this day and age, die each year thousands of animals in cosmetic testing, such as rabbits, chimpanzees, mice, rats, pigs ... these are the most commonly used for this type of evidence. Shampoos, shower gels, shaving foam, toothpaste, hair spray, face creams, sunscreens, certain foods, medicines and the list is endless. Before any product reaches the consumer, many companies directly tested in animals to see what their effect, and subjected to countless tests, which "voluntarily" to stop them in their little tiny bodies. vanity in relationships represents one of the problems most significatin cooples separation. because if one prtner is vain or both true love is left behind or what really falls in love is with the inner beauty. sadly the word beauty or vanity, is now a days the most important when picking a partner. we should change this way of seeing love, first the feelings determine if these are compatible with our feelings and that way we can find true love! I think that all the womens in the world want to be beautiful (without exception), but, what is the price? it's fair that a poor animal pay this price?